Which, "in theory", will offer better results? 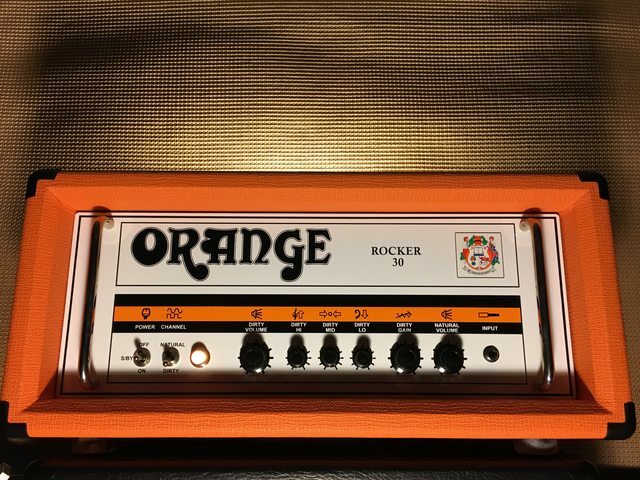 A "proper" clean boost, (the likes of the TC Spark, Pigtronix Class A Boost, EP Booster, MXR Micro Amp) or OD like the Fulltone OCD and Maxon OD808 (which I've heard "work" great with Orange Amps - in fact Orange blog "recommends" them)? I've also read that a Compressor (?) might work wonders... Where and how? Any and all thoughts on this very much welcomed! I’d go with a tubescreamer like an 808 if you want to tighten it up. e.q. to cut any mud and add a tighter sound? Cut the low end and low mids, boost high mids and high end. I am completely in the "Proper Clean Boost" camp. I've tried the OCD, Soul Food (Klon Klone), the Orange Getaway Driver, DOD Looking Glass, and maybe a few other ODs with my Orange. None of them sound as good as a plain old clean boost. The muddiness is the OD's clipping not meshing well with the amp's clipping. Amazingly for some reason you can get the Hard clipping of a Fuzz to work just fine along with the Amp's clipping, but to my ears the ODs don't work. The boost/EQ idea is great. I haven't tried the MXR one but I've tried the Boss one and the Orange Two Stroke, the Orange is far and away better than the Boss... it's dead silent and the parametric EQ works incredibly well. Chips” six-band e.q. I made sure it worked upon its delivery and shortly thereafter put it away. I did not own an Orange amp when I bought it, at the time. covering that base tone up. I think boosts and overdrives sometimes don’t actually do what the advertising describes.....at least judging by some of the reviews I read from users of clean boosts and such. I use my OCD, 808, blues driver, compressor and a few other pedals exclusively as a boost. Keep the gain shut down or nearly shut down and you get wonderful results. I have the soul preacher compressor and it also works great in that capacity. Got it used on reverb for lime 40 dollars, too. I like a Boss SD-1 as a clean boost in mine, I dial the tone knob all the way up to brighten the overall tone too. Your basic clean boost works well. Tubescreamer like mid range humps work well. A good fuzz that cleans up with the guitar volume also works pretty well. The problem is that the amps sound better than most pedals. The problem is that the amps sound better than most pedals. Not this amp, I wouldn't play it without the pedal.